I don’t always switch up my beauty routine for fear of breaking out, but I’ve tried a few new products this month and was really excited to share them with you all. 3. Max Factor Creme Puff Blush in Lovely Pink: Last week I attended the Re-launch of the Max Factor Academy and they gave us one of these blushes to try. You already know how much I love pink blushers, and this one is soft rosy shade with a pretty luminosity. I’ve been using it non-stop the past few days and found it pretty long lasting. 4. Tarte Cosmetics Eyelash Curler: Truth time: I bought this curler because of how pretty it is. Luckily though, it’s amazing! I’ve only started using eyelash curlers a little over a year ago and I sometimes find it tricky to get the corner lashes without pinching my almond-shaped eyes. This curler is wide and broad, so it catches every single lash easily and curls them beautifully. Have you tried any of these products? I’d love to hear what you think! *Affiliate links were used in this post. This is not a sponsored post and all opinions are my own. 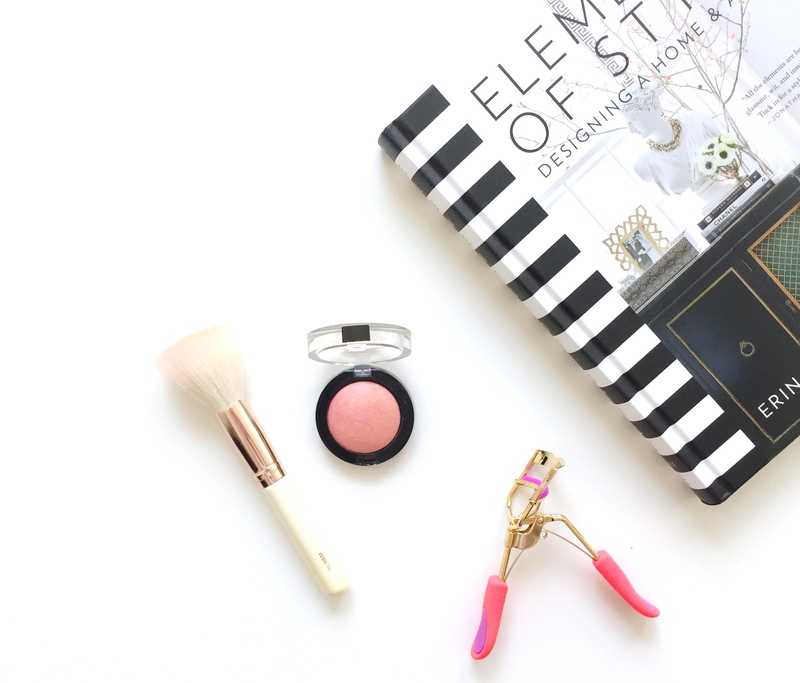 Love the Elements of Style book! I have it on my coffee table, and it looks so nice! Also loving korean beauty products! Hand creams are my weakness because mine get so dry, so I’m always on the lookout for an effective one! Need to try this, especially since it smells so yummy! P.s. – I love the look of your site! I love this! How fun is this post!? So happy that I came across you! I’ve been eyeing to buy that Tony Moly hand cream, but until now I still didn’t take it home hihi.. Hopefully soon, I will! Have a lovely day, hun!